Tesla has added a new ‘Easy Entry’ feature in its latest software update that’s designed to make getting in and out of the driver’s seat easier. The over-the-air software update under version 8.1 (2017.44 02fdc86) has so far been pushed to only a handful of Model S and Model X owners, but will likely see a wider roll out over the coming weeks. Release notes for the latest update indicate that the Easy Entry will automatically adjust the steering wheel and seat position when the vehicle is parked. The latest update is seemingly in response to a Tesla owner’s more recent feature request to move back the seat and raise the steering wheel, as a means to minimize wear on the steering wheel with taller drivers. At 6′ 2″ (188 cm) in height, Musk can likely sympathize with taller drivers that may find the need to sometimes slide between the seat and steering wheel at an awkward angle when entering and exit. 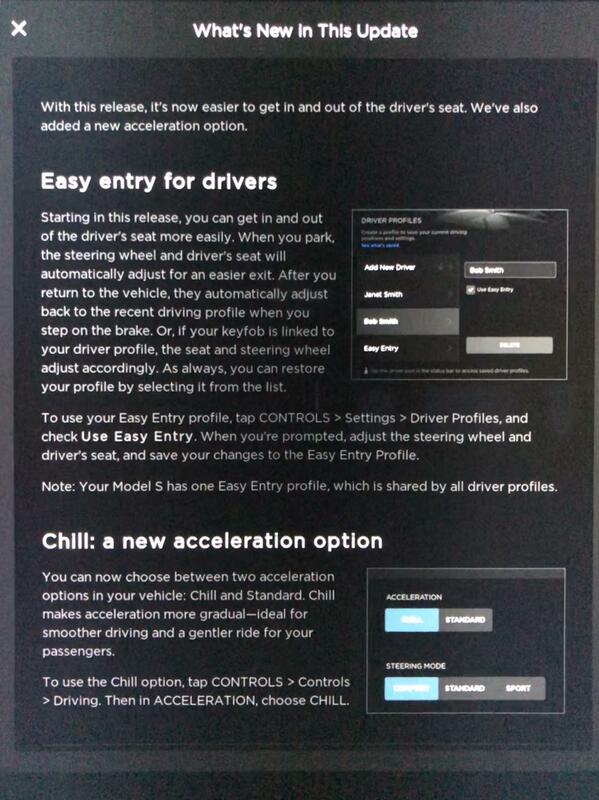 In addition to the new Easy Entry mode, Tesla also rolled out a new vehicle acceleration mode that’s labeled as “Chill”. 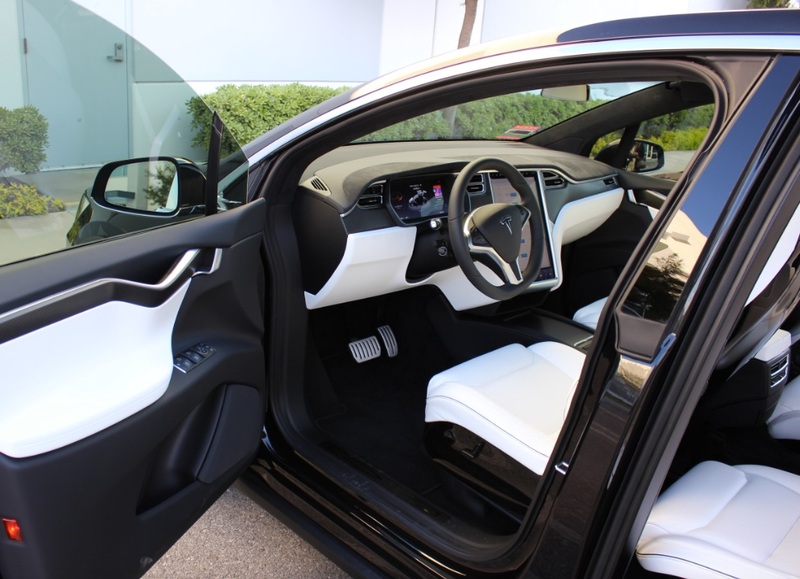 Contrary to the instantaneous acceleration and some Ludicrous performance that Teslas are known to have, Chill is designed to gradually accelerate a Model S and X. 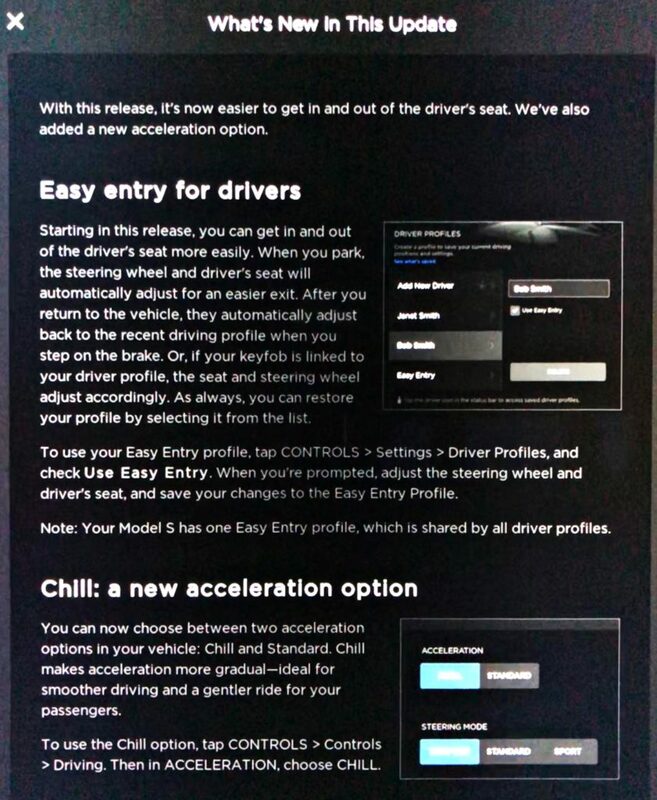 “You can now choose between two acceleration options in your vehicle: Chill and Standard. Chill makes acceleration more gradual – ideal for smoother driving and a gentler ride for your passengers.” notes Tesla in its release notes.